Definition: It means diminution of hearing up to complete loss, in other words: it is total or partial inability to hear sounds. Types: There are Organic and Hysterical causes of deafness, Organic typre is classified into 3 sub-categories as discussed below. I. Organic: A: Conductive. B: perceptive (SNHL). C: mixed. It means interference of sound transmission along the conductive apparatus (External & middle ear). Congenital: meatal atresia or stenosis. Trauma: Foreign body or traumatic acquired atresia. Inflammatory: large furuncle, Diffuse OE, Otomycosis, polyp. Neoplastic: Large exostosis – malignant tumors. Miscellaneous: wax buildup (the commonest cause). Traumatic: rupture of T. M.
Congenital: middle ear atresia or hypoplasia, ossicular fixation or deformity. Inflammatory: - Acute suppurative otitis media - CSOM - Chronic non suppurative otitis media. Traumatic: post adenoidectomy scarring, barotrauma. Miscellaneous: hypertrophy of the adenoid. It means defect in conversion of sound energy to electrical impulses (cochlea) or transfer of impulses along cochlear nerve & central connections to auditory cortex. a. Congenital: Hearing loss dating since birth or shortly after. Michael’s: total lack of inner ear development. Mondini’s: partial aplasia of labyrinth cochlea makes 1 ½ turns. Usher’s Syndrome: SNHL + retinitis pigmentosa. Pendred’s Syndrom: SNHL + goitre. Alport’s Syndrome: SNHL + nephritis. Maternal infections as rubella in the 1st trimester. Drug intake in the 1st trimester e.g. quinine, aminoglycosides and salicylates. Hypoxia or anoxia of the fetus. Birth trauma as in forceps delivery. Transverse fracture of temporal bone involving the labyrinth. Viral: measles, mumps, influenza, the deafness occurs after the febrile stage. It may be unilateral or bilateral, asymmetric and affects more the high tones. Syphilitic labyrinthitis: deafness is progressive, asymmetric and may be associated with vestibular symptoms (i.e. Vertigo). Bacterial: - Labyrinthitis secondary to suppurative otitis media, Meningitis: deafness is bilateral and profound. Ototoxic drugs: quinine, aminoglycosides, salicylates, and Lasix. Internal auditory artery occlusion due to spasm, thrombosis or embolism. 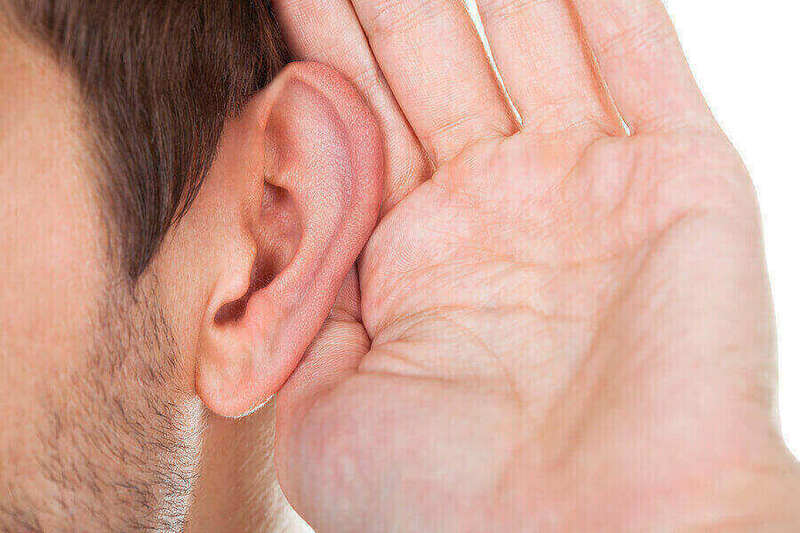 It causes sudden hearing loss (treated by large dose of steroids). Due to lesion either in the vestibulocochlear nerve, or in the auditory pathway. A- Cerebellopontine angle lesions as in acoustic neuroma, and congenital cholesteatoma. 2 - Central: due to lesion anywhere in the auditory pathway. It is rare. D-Cerebrovascular accidents e.g. thrombosis, haemorrhage or embolism. 1- Congenital meatal atresia with inner ear anomaly. 2- Fracture base of skull. 3- Complicated CSOM with labryinthitis. 4- Combined otosclerosis i.e. (footplate fixation, cochlear otosclerosis).